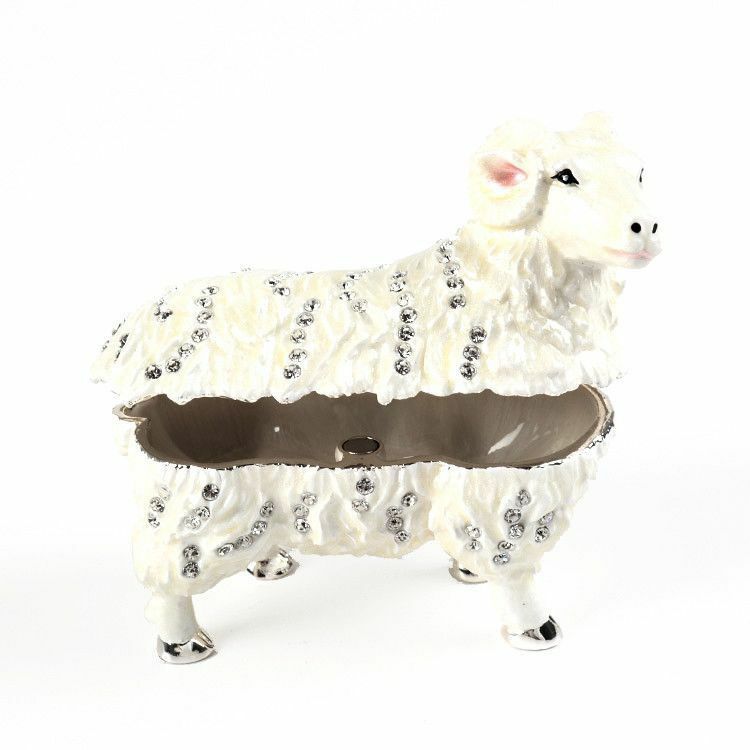 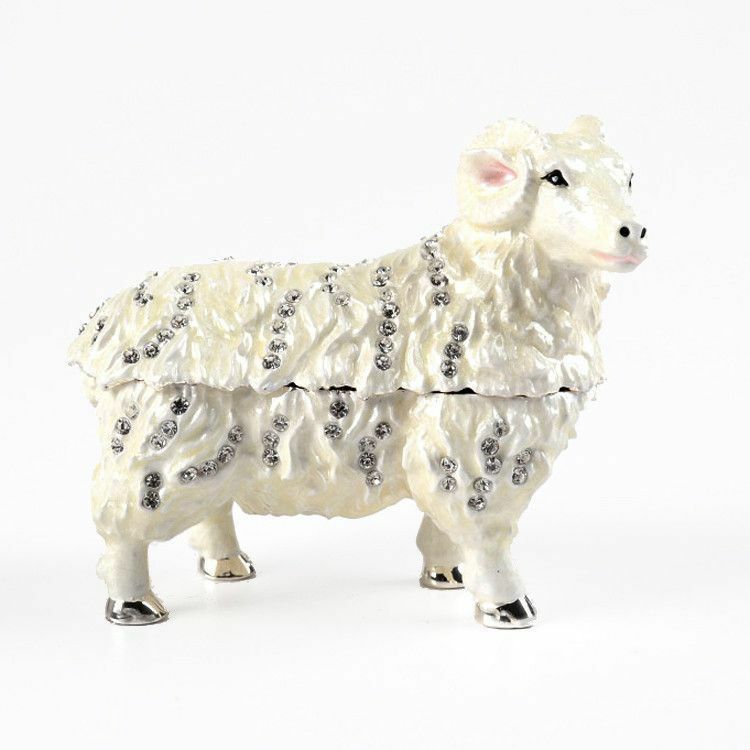 This beautiful sheep trinket box was very well made with a pewter base, creamy white enamel-like paint, silver plating, and clear Swarovski crystals. 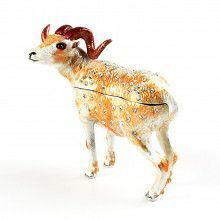 It has wonderful details, such as pink ears and mouth, silver hooves, and textured fur. 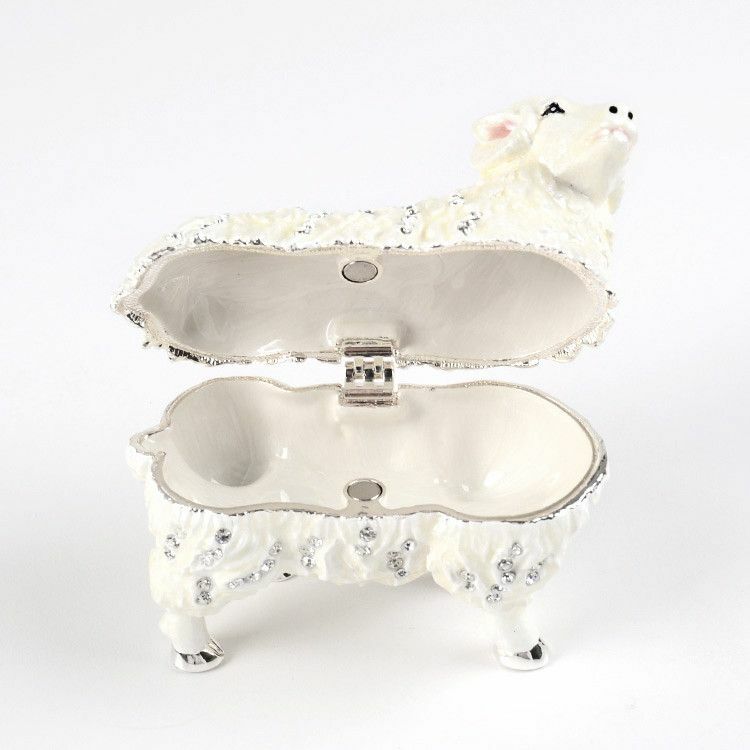 The inside is also white colored, and roomy. 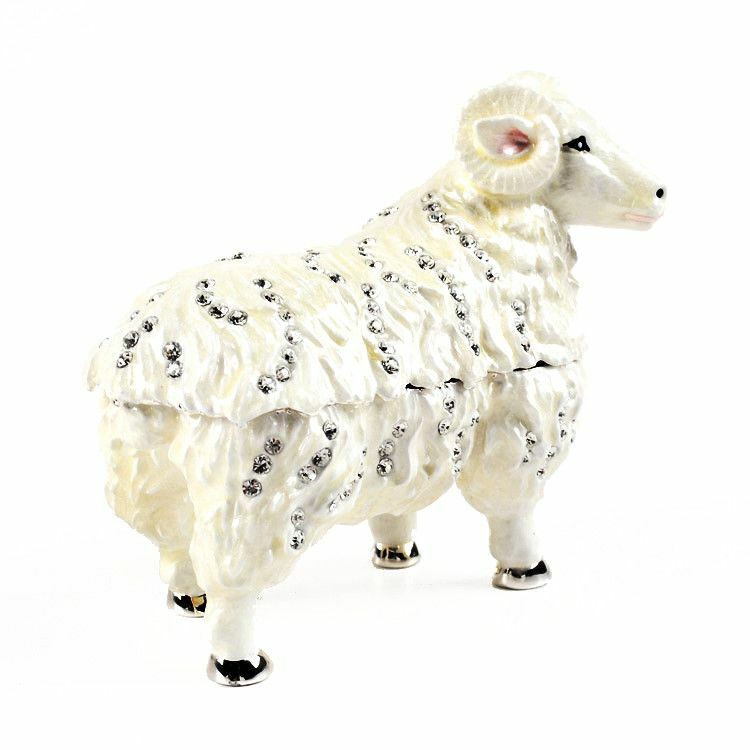 This sheep stands at about 3" tall, and would make a unique Easter gift. 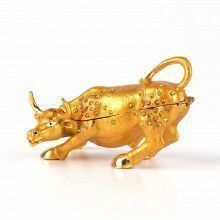 Contains a magnet clasp and one hinge.